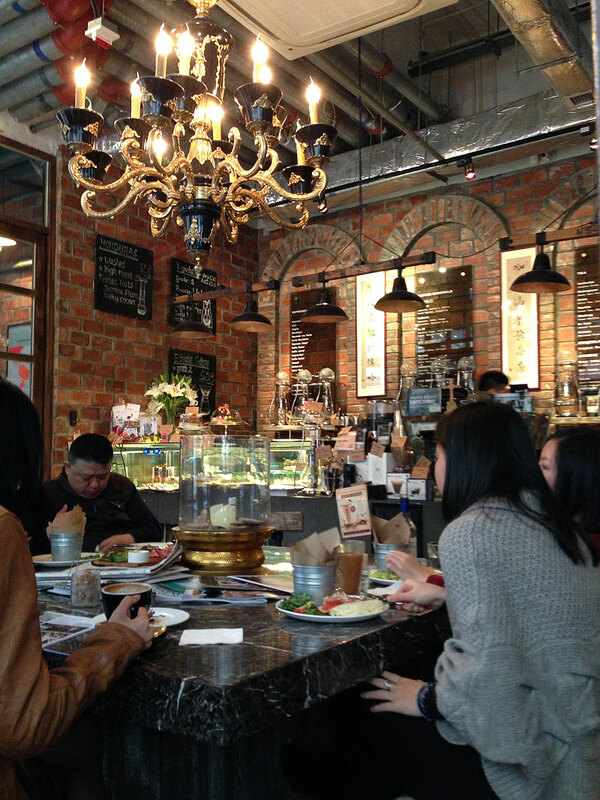 At the end of the Yiu Wah Street, which is like a little food lane now, you will find a classic-styled cafe. The Coffee Academics resembles those little coffee shops in Seoul (the street where Coffee Smith is situated), which has a high ceiling and semi-outdoor tables. As the name suggests, this place is all about coffee: making good coffee and enjoying good coffee. The statement at the doorstep reassures you on that. It has been a long long time since I had Shakerato. 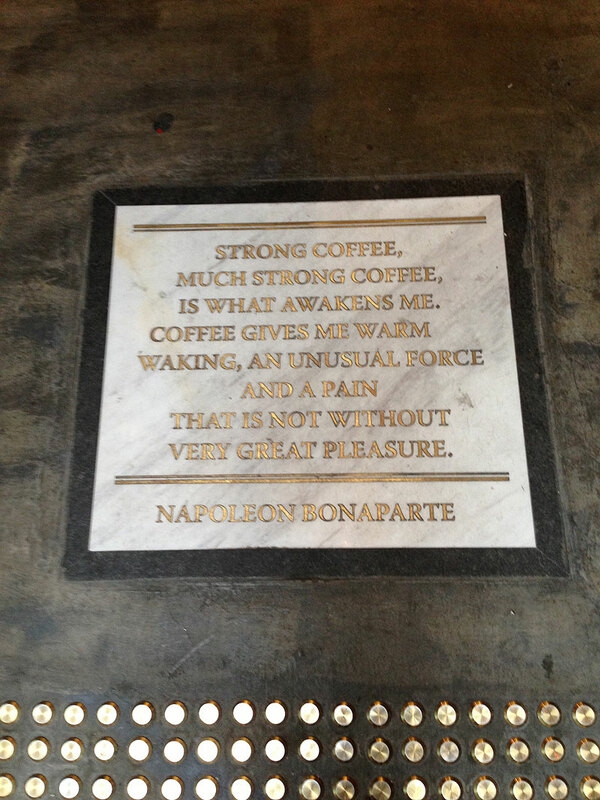 That was the time I was in Venice, and I can still remember the strong taste of coffee mixed with ice. 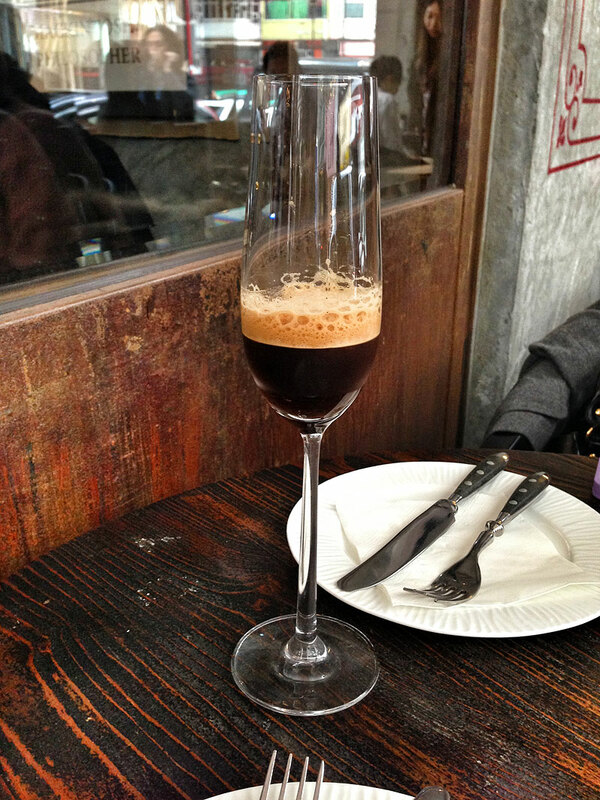 In short, a caffe shakerato is "made by combining freshly made espresso, a bit of sugar, and lots of ice, shaking the whole deal vigorously until a froth forms when poured." (from About) I see this on the menu and immediately I order it. Well, it does not seem to be what I expected as there is no ice at all. I doubt if this is really shakerato, but anyway it tastes good. 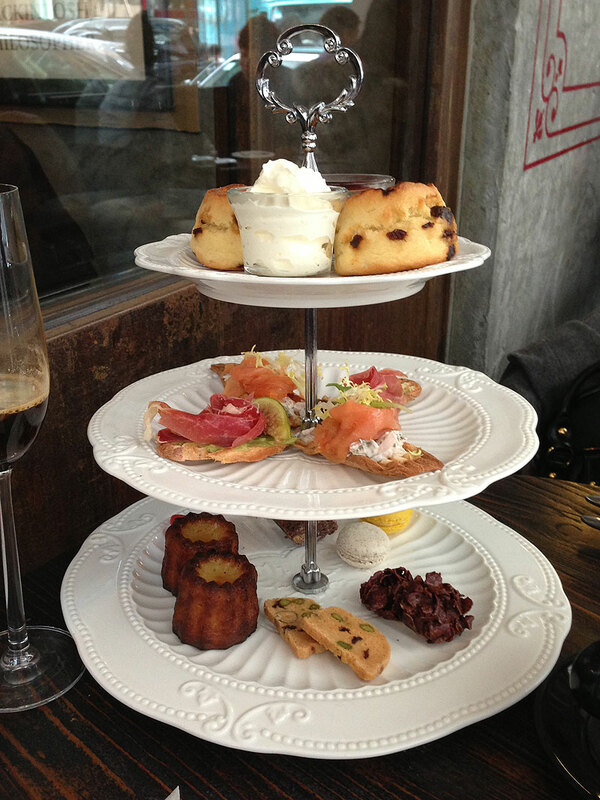 We are thinking about a tea set, but it is not 3pm yet and we are hungry, and so we order a lobster sandwich first. 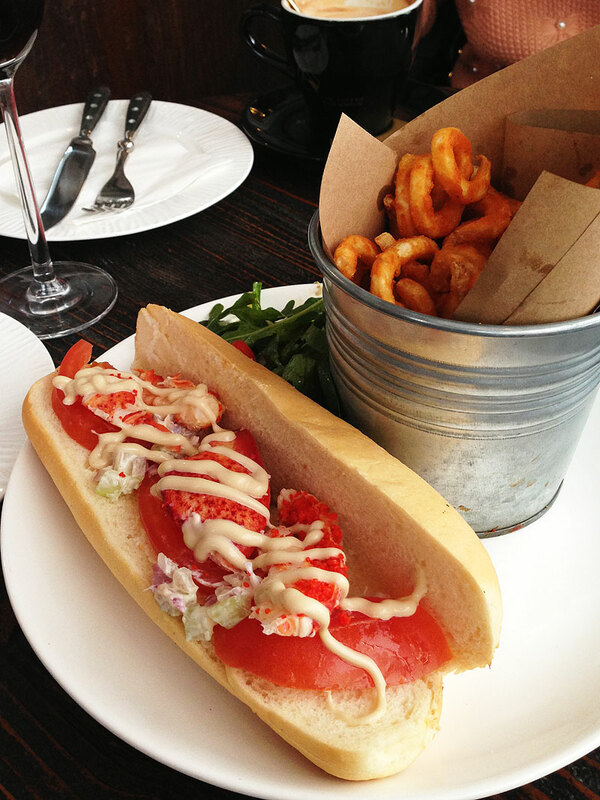 The hotdog-like sandwich looks interesting, and we are glad that it is not shredded lobster meat. However, the taste is unsurprising. Finally the high tea set comes. 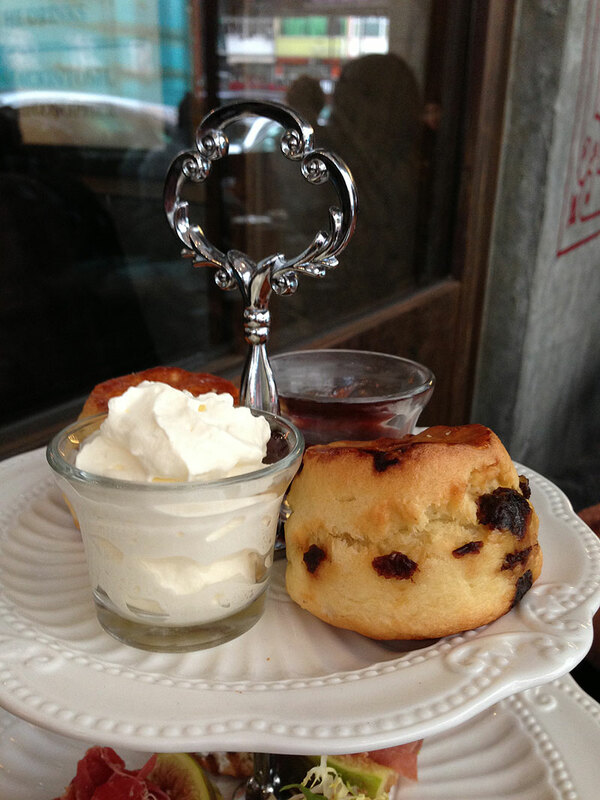 Against the tradition, the arrangement of dishes are not in the salty-bottom-sweetest-top order, and they put the scones into the top dish, which is not usual. I still start in the right order, putting the sweetest pieces at the end. 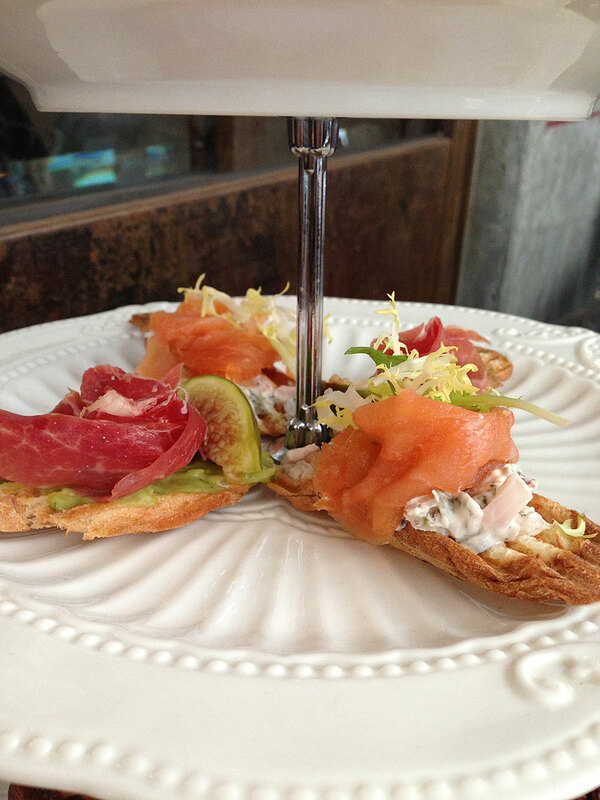 The salmon and ham toasts are nice, and perhaps I am a fan of ham with melon, I think the fig should be replaced by melon. I must say that these toasts are not bad. The second layer is a little sloppy, as there is nothing impressive or surprising. The chocolate-flake bites are the best. 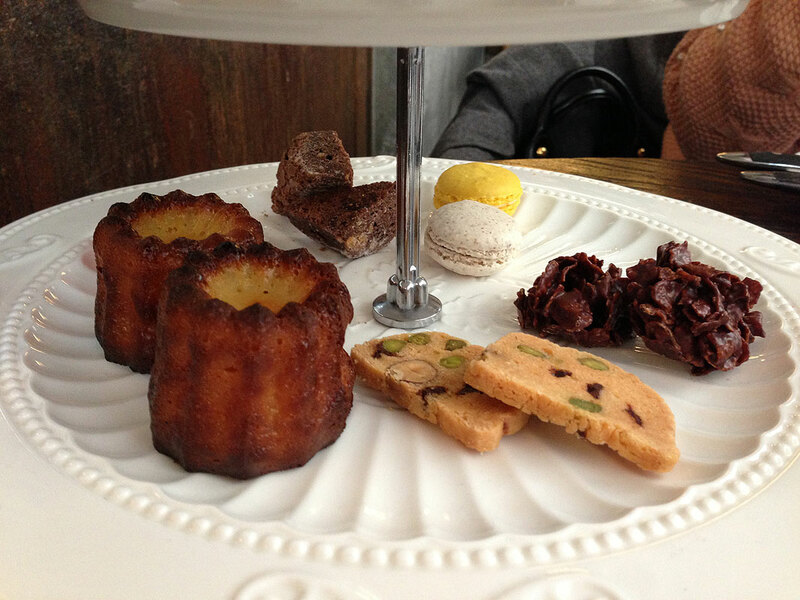 The macaroons are not bad, though it seems that the lighter-taste biscuits are better companions to the coffee. Overall the entire experience is wonderful. I know this place should be all about coffee, and it is ridiculous to show more food photos than coffee pictures. I didn't try a lot of coffee here besides the shakerato, and so I am not too sure about how good the coffee is (the shakerato is however a letdown), but I like the ambiance very much. It is wonderful to have semi-outside seating, which is not common here in Hong Kong. The interesting old western deco also turns the cafe into a different world within the busy Causeway Bay area, and no doubt this is a decent and not-so-noisy place to spend your whole afternoon.